15 November 2018: The task was clear: A five-person team guided by two faculty members needed to create an entire marketing communications campaign in six weeks. The International Advertising Association (IAA) ‘Big Idea’ competition gives students the opportunity to hone their communication skills and talents in a real world, career-ready experience that is critical training in the preparation of graduates preparing to transition from university into professional practice. It invites student advertising agency teams to experience the challenge of creating and delivering a competitive’ pitch’ for a real-life brand. In this case, the ‘client’ was Nestlé’s Uncle Toby’s PLUS breakfast cereal. Nestlé requested a national campaign that would deliver an increase in sales and market share, build emotional engagement, and create an engaging ‘call to action’ for the brand. For University of Canberra’s Faculty of Art and Design lecturer Shara Ranasinghe, the Big Idea initiative provided the ultimate challenge for advertising and design students to apply the state-of-the-art knowledge and skills they acquired in their Bachelor of Communication (Advertising) course. At the end of a detailed process, five students were selected to represent their university. They were Kirsty Martin, Karina Koeck, Kate Spencer, Barbara Kors, and Jayde Machell. Each brought different skills to the project. Kirsty was selected as team leader and project manager; Karina for her strong strategy and writing skills; Kate for her creative thinking and design skills; Barbara and Jayde for strong skills in creative and design. “The team came together perfectly,” said Shara. “It is very rare that we get a group of students of the same academic calibre with compatible personalities. So, the mini agency known as ‘Team Ignite’ was created and two faculty members, Shara and John Anstey, guided them through the campaign preparation. In previous years, UC’s team had made the final, but the prestigious win eluded them. This time, no stone was left unturned, with industry professionals invited to assess the campaign. Over six weeks the students presented to and gained valuable feedback from current practitioners. Preparation and attention to detail secured ‘Team Ignite’ a place in the final. Each of the five students was required to present part of the campaign. Shara says the secret ingredient was constant practice. Out of the original 17 teams, only five from four universities made the final. 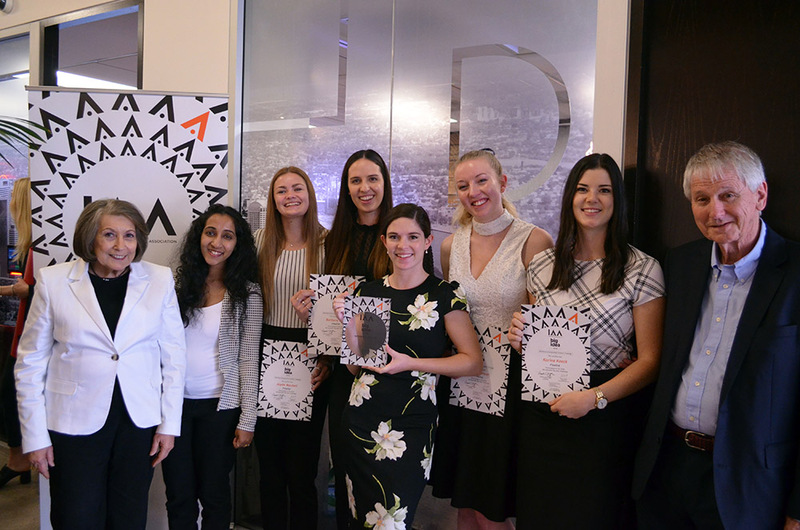 Each had to present to the six judges who represented key sectors of the marketing communications industry plus the client.